Lipoic acid (LA) plays an important role in glucose metabolism and energy production. Because it is soluble in both water and fat, LA is known as the “universal antioxidant.” LA occurs in two forms, designated as “R” and “S.” Studies suggest that RLA, the natural form, is more biologically active than the S form. : Modified cellulose (vegetarian capsule), rice powder, microcrystalline cellulose, magnesium stearate (vegetable source), silicon dioxide. Suggested Adult Use: Take 1 - 2 capsules daily with or without food, or as recommended by a nutritionally informed physician. What is BioEnhanced® Na-RLA Stabilized R-Lipoic Acid? Alpha-lipoic acid comes in two forms, designated as “R-lipoic acid” and “S-lipoic acid.” R- and S- lipoic acid are enantiomer isomers--molecules that appear as mirror images of each other. 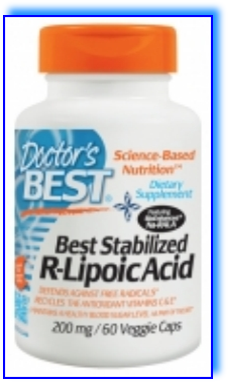 R-lipoic acid is naturally synthesized by humans, animals, and plants. S-lipoic acid is formed during chemical synthesis of alpha-lipoic acid, producing a “racemic” mixture of the two enantiomers that is often used in clinical studies on alpha-lipoic acid. Pharmacokinetic studies have shown that R-lipoic acid is more bioavailable than the S- form. For example, following single oral doses of 50 to 600 mg of racemic LA, maximum serum levels of the R- form were 40 to 50% higher than the S- lipoic form. Na-RLA, the sodium salt of R-Lipoic acid (RLA). Pure RLA is a very unstable molecule that has a tendency to polymerize with exposure to heat, light, and moisture. This presents problems for those wishing to supplement with RLA, since any of these conditions can lead to deactivation of the beneficial activity of alpha-lipoic acid. Na-RLA is a stabilized form of RLA that won’t degrade at high temperatures. By taking the sodium salt of RLA, its solubility is increased and it has an improved dissolution in the body. It is more bioavailable than regular RLA and has no solvent residues. Alpha-lipoic acid is a key factor in the cellular process that metabolizes glucose for energy production. Researchers have noted that for a non-hormonal compound, LA is remarkable for its effect on carbohydrate metabolism-especially the R-lipoic form of alpha-lipoic acid. For example, in vitro studies have shown the ability of RLA to promote rapid uptake of glucose in muscle and fat cells. The impact of lipoic acid administration in promoting healthy blood sugar metabolism is also evidenced in numerous animal and human studies. In one study on rats, the known benefit of exercise on glucose uptake was complimented by 30 mg of RLA per kg body weight for 2 weeks. Glucose uptake into muscle increased by 45% in sedentary rats given RLA (compared to rats not receiving RLA); when the rats combined treadmill exercise with the RLA administration, glucose uptake jumped to 124% (compared to only 68% in rats given exercise but no RLA). After helping to initially increase glucose uptake into cells, RLA subsequently increases glucose utilization via activation of an enzyme complex-called the pyruvate dehydrogenase complex-involved in energy production inside the mitochondria of cells. LA is cited especially for its ability to reduce oxidative stress in the context of the important relationship between healthy blood sugar levels and vascular health. 1.Bast, A. and G.R. Haenen, Biofactors, 2003. 17(1-4): p. 207-13. 2.Breithaupt-Grogler, K., et al., Eur J Pharm Sci, 1999. 8(1): p. 57-65. 3.Carlson, D.A., et al., Altern Med Rev, 2007. 12(4): p. 343-51. 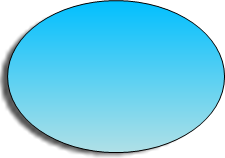 4.Zempleni, J., T.A. J Nutr, 1997. 127(9): p. 1776-81. 5.Kagan, V.E., et al., Biochem Pharmacol, 1992. 44(8): p. 1637-49. 6.Packer, L., E.H. Witt, and H.J. Free Radic Biol Med, 1995. 19(2): p. 227-50. 7.Suzuki, Y.J., M. Tsuchiya, and L. Packer, Free Radic Res Commun, 1991. 8.Biewenga, G.P., G.R. Haenen, and A. Bast, Gen Pharmacol, 1997. 9.Bast, A. and G.R. Haenen, Biochim Biophys Acta, 1988. 963(3): p. 558-61. 10.Serbinova, E., I. Maitra, and L. Packer, Life Chemistry Reports, 1994. 11.Prehn, J.H., et al., J Cereb Blood Flow Metab, 1992. 12(1): p. 78-87. 12.Estrada, D.E., et al., Diabetes, 1996. 45(12): p. 1798-804. 13.Yaworsky, K., et al., Diabetologia, 2000. 43(3): p. 294-303. 14.Jacob, S., et al., Free Radic Biol Med, 1999. 27(3-4): p. 309-14. 15.Kamenova, P., Hormones (Athens), 2006. 5(4): p. 251-8. 16.Saengsirisuwan, V., et al., Am J Physiol Endocrinol Metab, 2004. Note regarding sodium: The RLA in this product is stabilized with Na (sodium). However, one serving of this product contains less than 1% of the Daily Value for sodium, an insignificant contribution to dietary sources. Research suggests that sodium may impact blood pressure in some individuals only when it is consumed as sodium chloride (NaCl, table salt) and not in other forms. The sodium in this product is unlikely to affect blood pressure levels. Within the cell, antioxidants work as a team to keep free radicals from damaging cell structures. In order to neutralize a free radical, an antioxidant such as vitamin C must give up an electron, which means it becomes oxidized. Before it can function as an antioxidant once again, it must be regenerated back to its "reduced" form by gaining an electron to replace the donated electron. For this, it needs the help of other antioxidants. Vitamin C, vitamin E, and glutathione are key antioxidants that can be generated by cycling between their oxidized and reduced forms. This is necessary to maintain the balance between oxidation and its reverse--the neutralization of free radicals by antioxidants. Some companies are marketing controlled release or sustained release alpha-lipoic acid products, which maintain plasma concentrations for a longer period of time. However, available research adequately demonstrating the superiority of such products is lacking. Studies also indicate that supplementation with alpha-lipoic acid supports eye health. One of the most toxic chemicals in cigarette smoke, acrolein, is especially harmful to retinal pigment epithelial cells. Rats chronically exposed to low doses of acrolein lose the viability of these cells, showing a decrease in mitochondrial function due to oxidative stress. Aging is associated with oxidative stress in the brain. The brain's high rate of metabolism and its long-lived neurons make it particularly vulnerable to oxidative stress. Since LA interrupts cellular oxidative processes in both its oxidized and reduced forms, it plays a modulatory role in the brain and nervous system. One group of researchers found that LA decreased oxidative stress in the brain mitochondria of aged rats.22 This kind of activity inside of neurons may help explain the observed effect of LA administration on cognitive upkeep in an animal model. 17.Korotchkina, L.G., S. Sidhu, and M.S. Patel, Free Radic Res, 2004. 18.Muellenbach, E.A., et al., Metabolism, 2008. 57(10): p. 1465-72. 19.Liu, J., Neurochem Res, 2008. 33(1): p. 194-203. 20.Lykkesfeldt, J., et al., FASEB J, 1998. 12(12): p. 1183-9. 22.Palaniappan, A.R. and A. Dai, Neurochem Res, 2007. 32(9): p. 1552-8. 23.Hager, K., et al., Arch Gerontol Geriatr, 2001. 32(3): p. 275-282. 24.Holmquist, L., et al., Pharmacol Ther, 2007. 113(1): p. 154-64. 25.Jia, L., et al., Invest Ophthalmol Vis Sci, 2007. 48(1): p. 339-48. 26.Lin, J., et al., Diabetologia, 2006. 49(5): p. 1089-96. 27.Kowluru, R.A. and S. Odenbach, Diabetes, 2004. 53(12): p. 3233-3238. 28.Wollin, S.D. and P.J. Jones, J Nutr, 2003. 133(11): p. 3327-30. 29.Zhang, W.J., et al., Circulation, 2008. 117(3): p. 421-8. Alpha-lipoic acid may offer several different mechanisms in helping us to maintain cardiovascular health. From animal studies, researchers began to discover the impact of LA on blood lipids over half a century ago.28 Additionally, a recent study in mice demonstrated results seen in previous studies using mice or rats: lipoic acid lowered body weight gain and fat mass.29 Researchers attributed this to appetite suppression and enhanced energy expenditure. Mice in this same study also benefited from lower levels of triglycerides upon LA administration. While the favorable results seen in many of these in vivo studies have not yet been investigated in humans, researchers believe that LA supplementation holds promise for supporting the cardiovascular system through such means as helping to maintain a healthy weight and by promoting healthy lipid metabolism.